Turn brainstorming ideas into actionable tasks. Assign responsibilities between team members, add detailed descriptions, attach files & organize between channels. Never miss another update with notifications right in Slack. We love Kanban board! 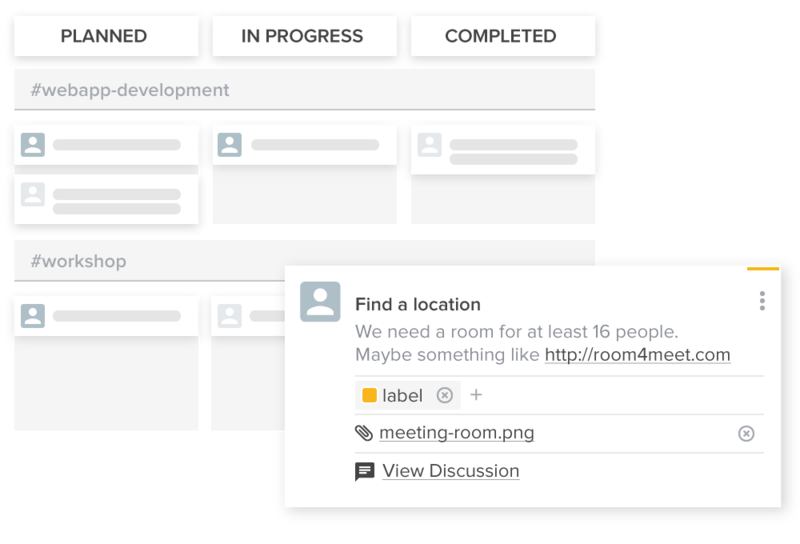 Have perfect overview of your running projects, beautifully laid out on your customizable taskboard. Use our advanced filters, add labels, expand worksteps and focus on what matters now. Track overall progress with our amazing cumulative flow charts! Set ambitious goals and never slip on a deadline with Goal burndown charts. Do it all across teams & channels! Keep tasking on the go! Workstreams syncs across devices so you can collaborate on the move. 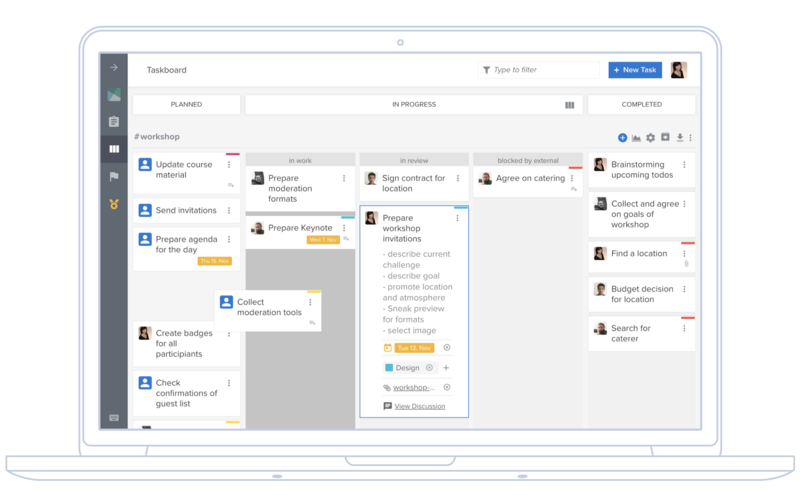 Invite new partners to a single taskboard & build long-term relationships with shared channels. Archive access, integrations and webhooks. 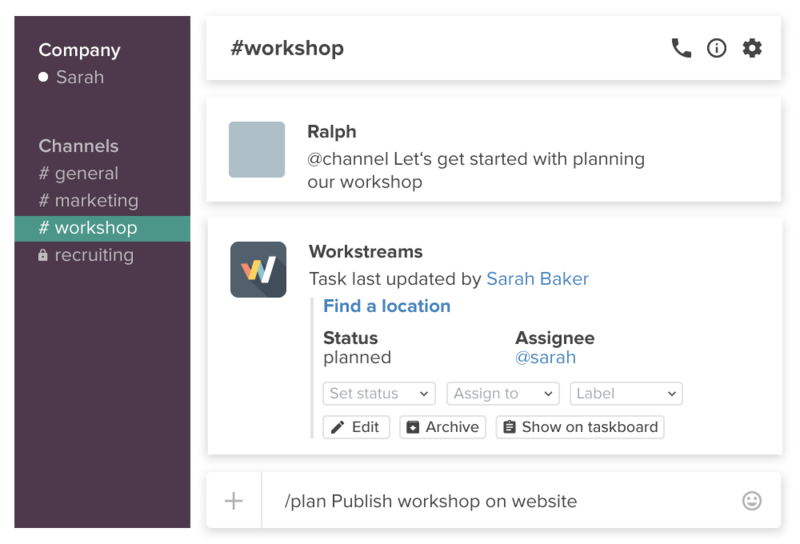 After inviting Workstreams to your channel or private group you can start directly with planning your project while creating tasks with /plan task name. After adding a new task a task box will appear. With the controls in the message, you can change its status, assign a channel member to it, add a label, change your task's title and add a description among many other possibilities. By simply typing /tasks, you can find what you're looking for and make changes easily. Be informed about what your team is working on. 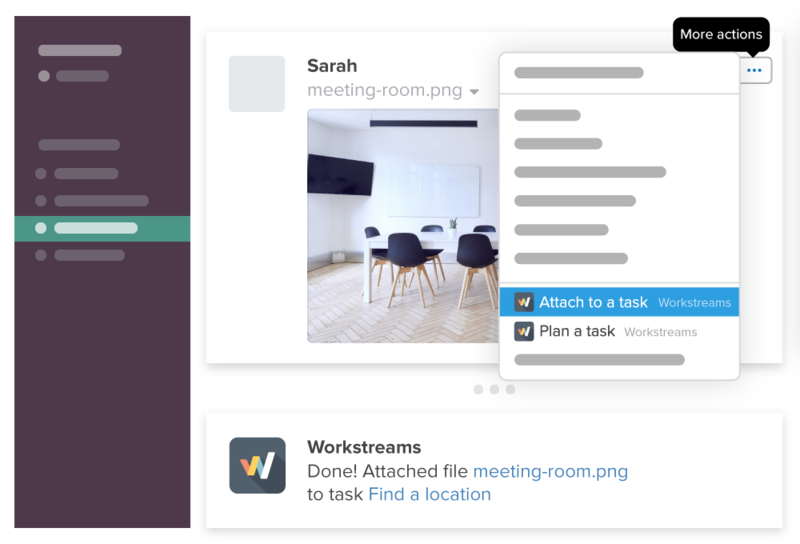 Get notified about updates on tasks you are involved or interested in and receive push notifications on Slack mobile and desktop apps. 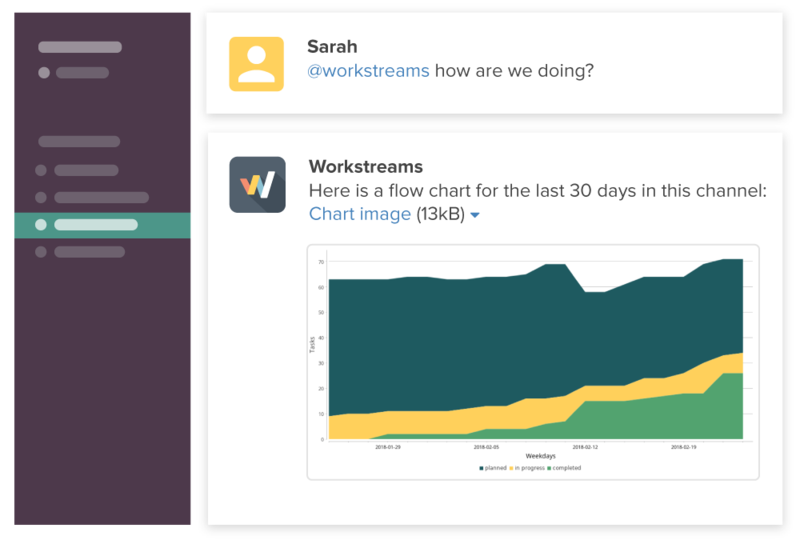 Let your team celebrate their own success: just ask „@workstreams How are we doing?“. The generated flow chart is channel related and visualizes your team’s effort. You can easily check the current status and see how many tasks have been done, are in progress or planned. If you are working with goals you can also get a burndown chart, which measures all tasks related to this goal. It works across channel borders and shows the performance of your team within a certain time. Both charts are accessible directly in Slack and from the taskboard. Use board for any channel, private group, even personal tasks. Combine channels on one board or focus on each channel individually. 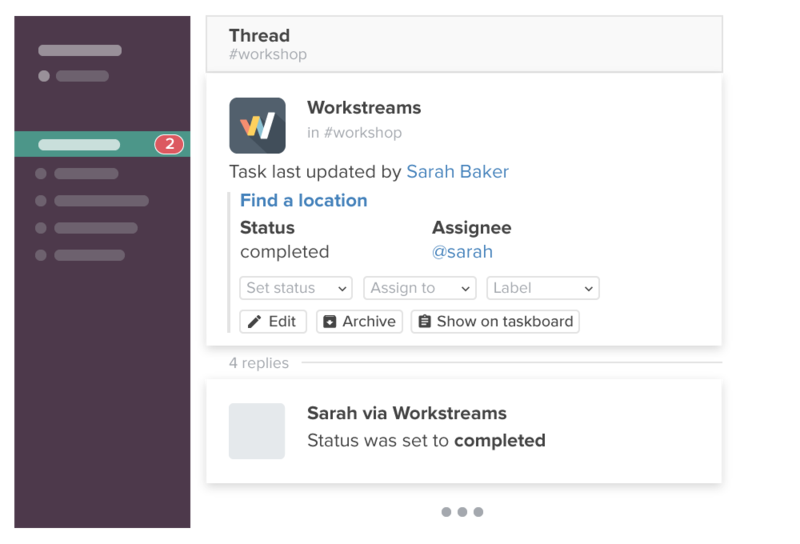 Tasks created in Slack automatically appear on your taskboard. 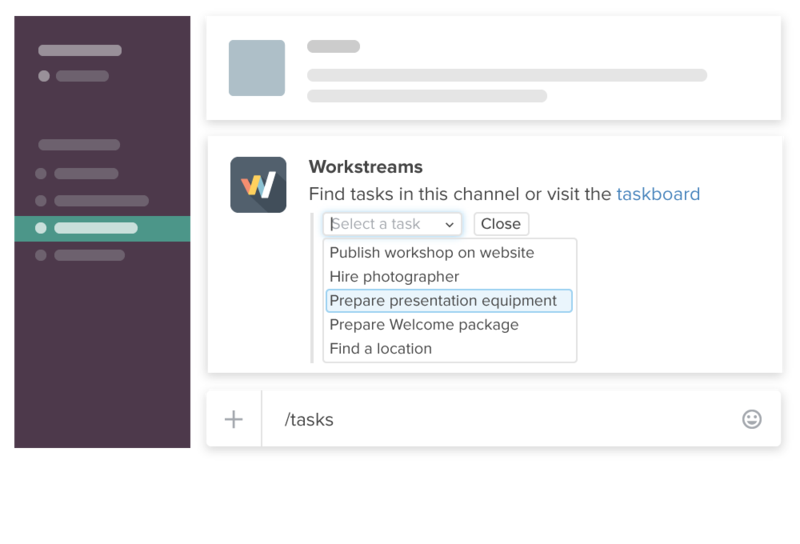 By clicking on the task title you access the taskboard, or just ask „@workstreams board“ anytime in Slack. You can adjust the number and the names of your worksteps so it fits your needs just right. The worksteps are defined per channel. Choose the naming according to your process, be creative, experiment and make it work for you! Labels are individually defined and provide a powerful way to logically group tasks. 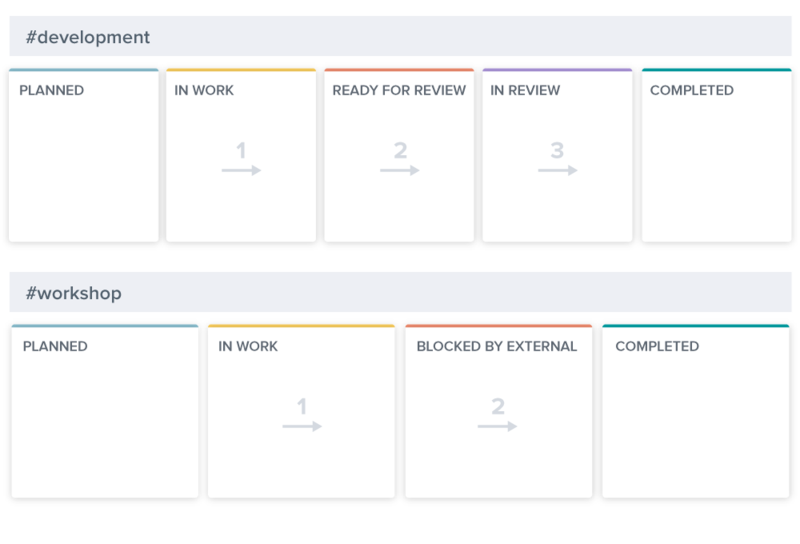 Within the project overview, labels are organized by color-coding each task and can be used across channel borders. Tasks contribute to goals once the task is assigned the goal’s label. Labels are shared throughout the team. The aim of filtering is to compact your project view down to the items you want to focus on. Filtering can be done based on each attribute of your task, e.g. its name, assigned team member, labels or due dates. Filtering is related to all tasks, which are currently visible on your board regardless of whether you have selected one or more channels. A goal can be a release of a feature, closing a deal or coming to an important decision. 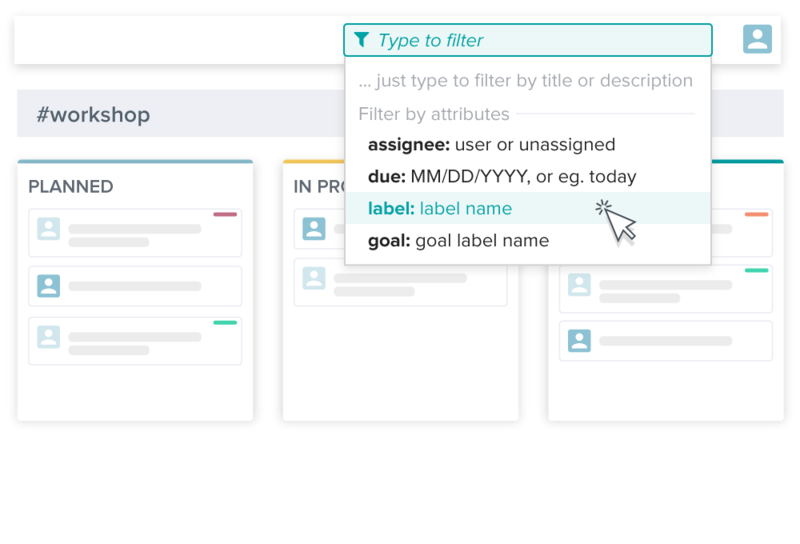 Everyone in your Slack team can create goals and associate tasks with them via labels.. When tasks are completed, the progress bar on their associated goals fills up. 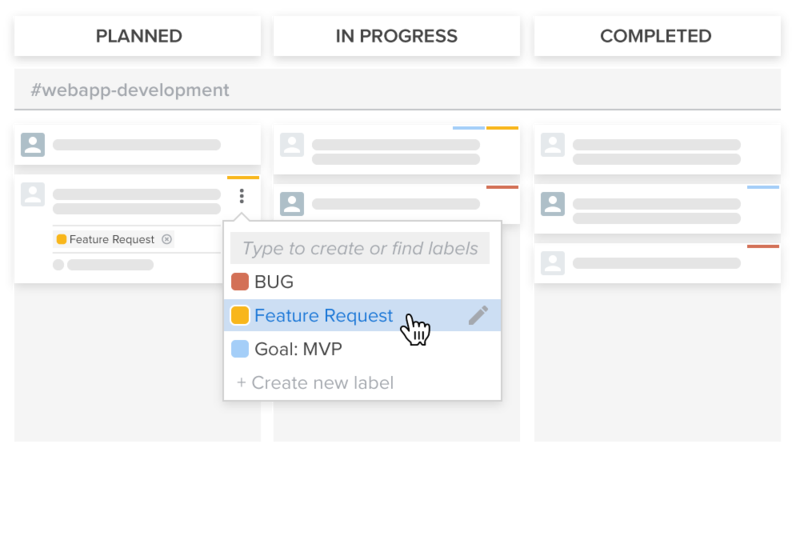 This makes it easier to get an overview of progress and keeps teams focused and motivated.